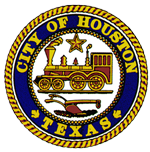 I would like to request a data set that contains a record of all the water main breaks in the city of Houston in the past 10-20 years. Preferably, this data set would also contain the break's zip code and geographic coordinates. I intend to use this data for a school project were I analyze water main breaks between different neighborhoods in a city.